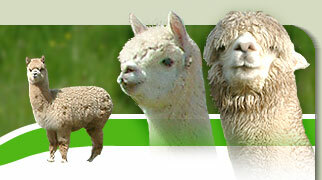 We find alpacas intriguing animals. They are intelligent, enquiring and sensitive. 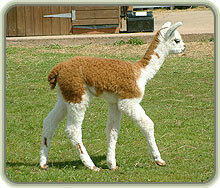 They quickly respond to gentle handling and they are calming to be around. 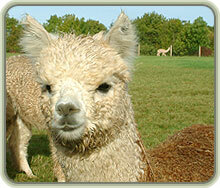 Alpacas are one of nature's stress busters! When we came to Little Goytre Cottage we quickly appreciated that we needed livestock to bring the farm to life. We considered all the usual options, but none really suited us. We first saw alpacas at a country show and we were fascinated by them. Like many other newcomers to alpacas, we undertook nearly a year of research, before taking the plunge and buying four young females, three of which were pregnant. From that modest start, we built the herd we have today. We have never once looked back. 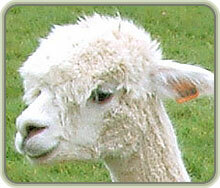 Our alpacas have a range of personalities. Some are boisterous and playful, some determined and proud, while others are passive and shy. They are curious about what's going on around them, bond with other herd members and, most importantly, are great fun to be around. Be warned, owning alpacas considerably reduces your productivity! We spend hours watching them, strolling amongst them and being entertained by their antics. They will become a huge part of your life - and your life will be richer as a result. We decided to establish a breeding herd - there is something magical about seeing a new born alpaca take its first steps in life - but many people choose to keep gelded (castrated) males for their fibre and natural beauty. There are several hundred registered breeders, like us, across the uk, but there are considerably more private owners with small herds. The national herd stands at around 60,000 animals. Although increasing in numbers, alpacas are still fairly thin on the ground, so prices for good breeding females remain quite high. Pet males are considerably more affordable. At the top end of the market, world-class animals are sought out by a few discerning breeders and quality rather than quantity is the key. That being said, there are alpacas to suit every budget and whatever your plans, you will get enormous satisfaction from keeping them. 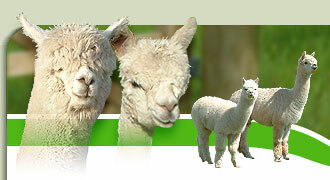 Can you farm alpacas at a profit? That's perfectly feasible, but like any business venture, in the early years the cost of your foundation stock is likely to soak up cash reserves. To trade profitably you will need to sell fibre and livestock or provide added value services to your customers and, like most businesses, it will probably take a while to become established. Running costs are modest, but still have to be met! Consult your accountant or business advisor, do your research, get your hands on the animals and be careful how you spend your cash. It may seem obvious, but try to buy with your head... not your heart! Today alpacas are raised by breeders, fibre producers, farmers seeking agricultural diversification, glamping sites, smallholders looking for a sustainable lifestyle business, country landowners who want to grace their pastures with something beautiful - and people who just adore alpacas.